The whales need your help! Join the campaign “I Care for the Whales” and support the investigation, protection and conservation projects that have been developed thanks to donations from people like you. Your contribution really makes a difference! 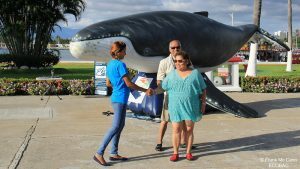 1.- Sponsor one outing of the program “Information, Protection, Vigilance and Monitoring of the Humpback Whales of Banderas Bay” and the campaign “I Care for the Whales” cost of $3,000.00 MXN. Pays for the gasoline used to navigate for four hours at sea. 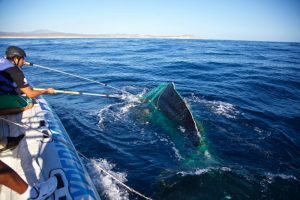 Objective: support the project “Information, Protection, Vigilance and Monitoring of the Humpback Whales of Banderas Bay” and the campaign “I Care for the Whales” by providing funding for vigilance trips. You will get the chance to be part of the project and support the conservation of whales. You will help to raise awareness about proper whale watching conduct. 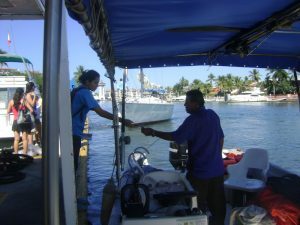 And if you desire, you can have a place for one person to be aboard the vigilance boat. (Persons under 18 years are not admitted). NOTE: Ask for the calendar of predetermined outings for December-March. .- Campaign “I care for the whales” $5,000.00 MXNCampaña “Yo si cuido a las Ballenas” $5,000 pesos. 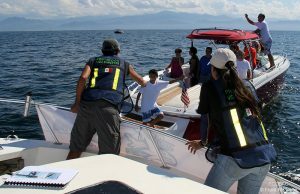 Print bilingual informative flyers about the good navigation practices during the whale season and the official Mexican whale watching regulations. Replacement of a complete set of special stainless steel tools for the whale disentanglement assistance network. Example of tools: Grampin, jackknifes, extensions, inflatable buoys and rope. 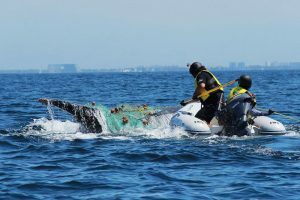 Funds for the gas for the boats that participate in the response action to a report of a whale entanglement: reports are sporadic and often involve a lot of time at sea. You can also help by donating materials for the projects previously mentioned. 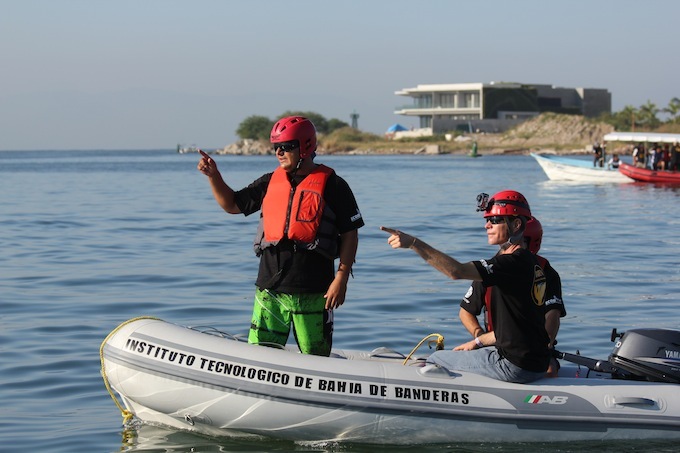 Information, Protection, Vigilance and Monitoring of the Humpback Whales of Banderas Bay. Gasoline or petrol vouchers for the outings. Nikon Camera D300 or similar. Gasoline or vouchers for the response boats to a whale entanglement event. Zodiac inflatable boats from 7 to 15ft with a wood or aluminum floor, without console or control panel or motor. Motor of 20HP 4 stroke (Honda or Yamaha). Buoys of 20”, 15” and 13”. Show some support by donating to the above projects, either with money or materials. ECOBAC © 2016 | Powered by Graphic Illusion.